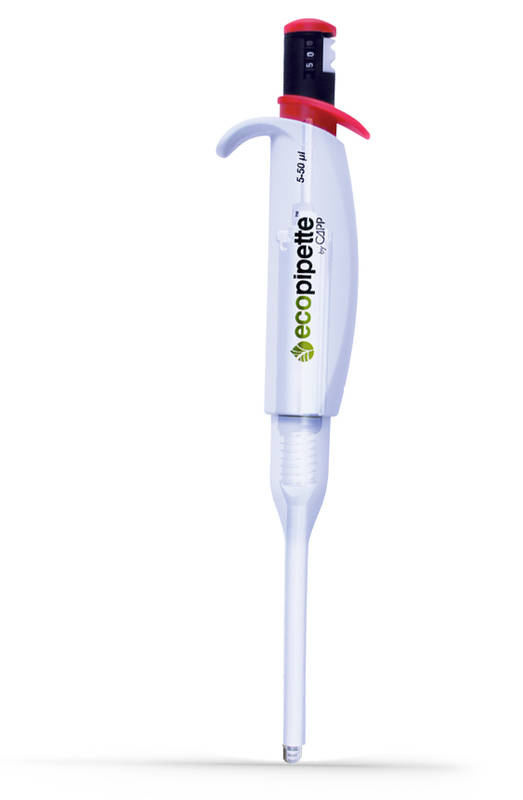 ecopipette is the perfect micropipette for laboratory. This ergonomic and accurate pipette has a unique construction with detachable volume control knobs, enabling switching between a fixed and a variable volume pipette within the same pipettor unit. You simply exchange the knobs! Additionally, the lockable variable volume controller knobs require 50% fewer turns. 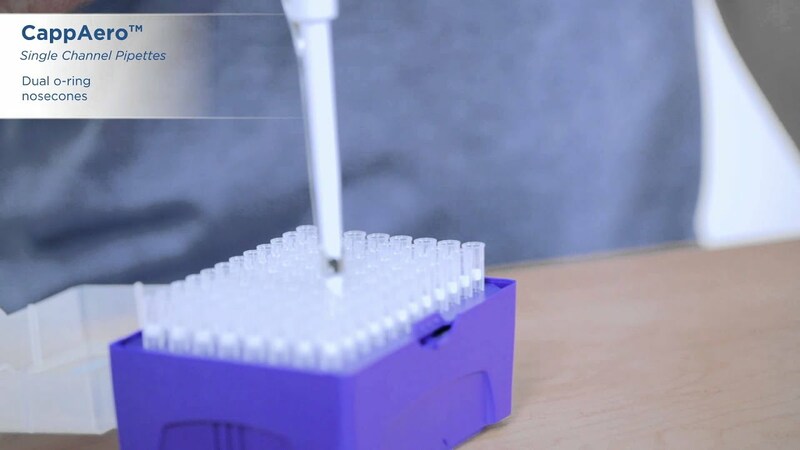 The display is fully visible during pipette operation and the large pad ensures easy tip ejection. 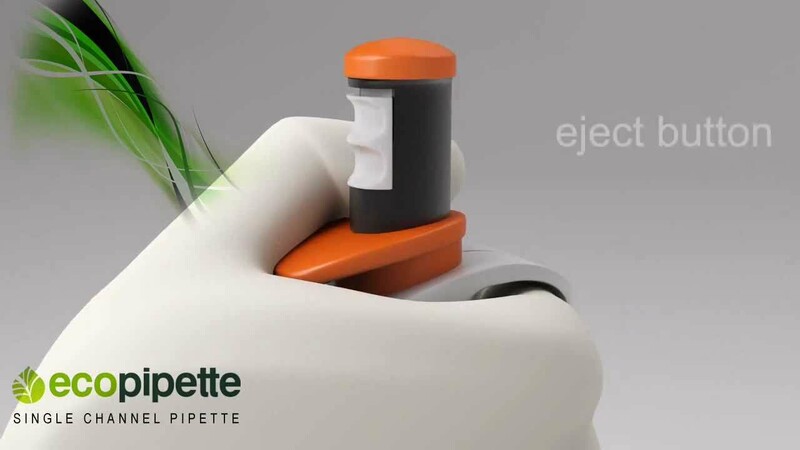 Ecopipette is a fully autoclavable lab pipette (except for the detachable knobs) and requires no disassembly before autoclaving. Wide range of micropipette sizes starting from 0.2µl up to 5mL is available. This ergonomic pipette will ensure ultimate comfort in your daily work. Double o-rings make the pipettor compatible with major pipette tip brands ensuring optimal tip seal and low force tip mounting. Metal pipette parts, such as the tip cones are made of anodized aluminum and prevent breakage resulting from accidental dropping or tips mounting. 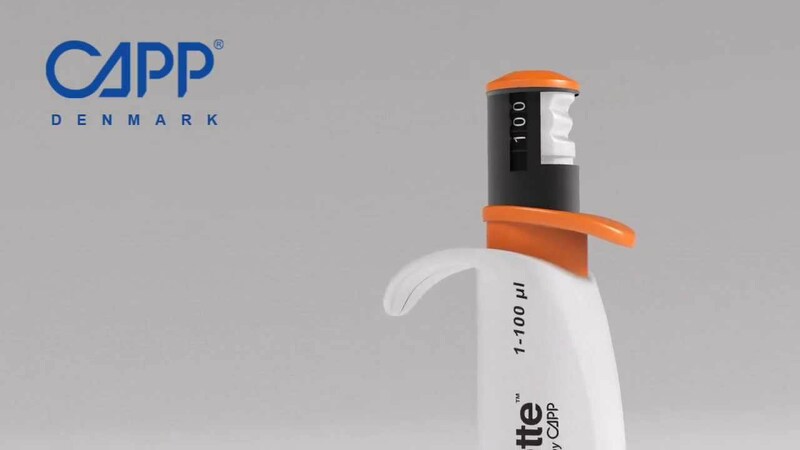 Ecopipette is made of biodegradable materials and packed in recyclable boxes. Additionally we offer the ecotrade program: Return any brand of old pipettes in exchange for discounted new ecopipettes. At Capp, we will ensure an environmentally safe waste discharge of your old pipettor. Get more information about Capp ecotrade program. Choose between variable or fixed volume. Lockable variable volume controllers. Fixed controllers for routine work available on request. Large pad for easy tip ejection. Color-coded acc. to pipette's volume range. Metal tip cones with double o-rings for optimal sealing and precision. 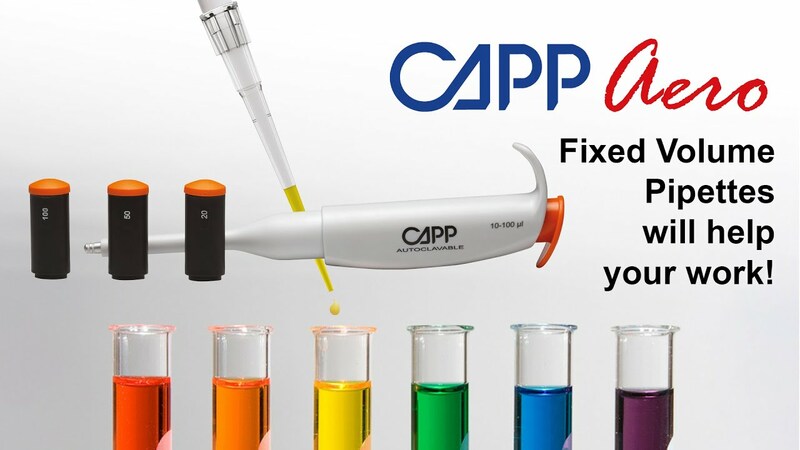 Compatible with all major pipette tip brands. Low incidence of breakage resulting from accidental dropping or tips mounting. Disposable filter for ecopipette 100-1000µL, bag w/ 50 pcs. Disposable filter for ecopipette 1-5mL, bag w/ 25 pcs.